J Charles “Chuck” Coughlin is interviewed on 4/17/13 by Steve Goldstein on KJZZ NPR Phoenix. For the entire interview please visit http://kjzz.org/ . 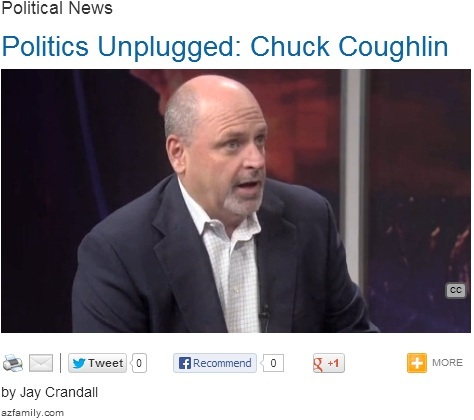 J Charles “Chuck” Coughlin guest column for Arizona Capitol Times. 2013. Channel 12’s Brahm Resnik interviews Chuck Coughlin of HighGround Inc. about 2013 Medicaid expansion and other current Arizona issues.